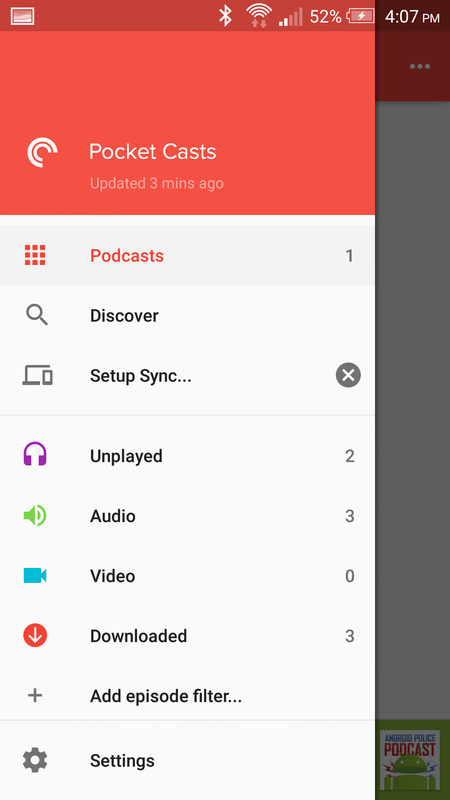 App developers of the world, take note: this is how you do a Material Design update. 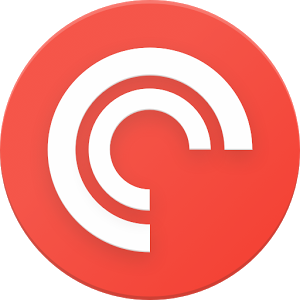 After quietly hammering away this major update in a private beta, the Pocket Casts team has made it public on their stable channel. 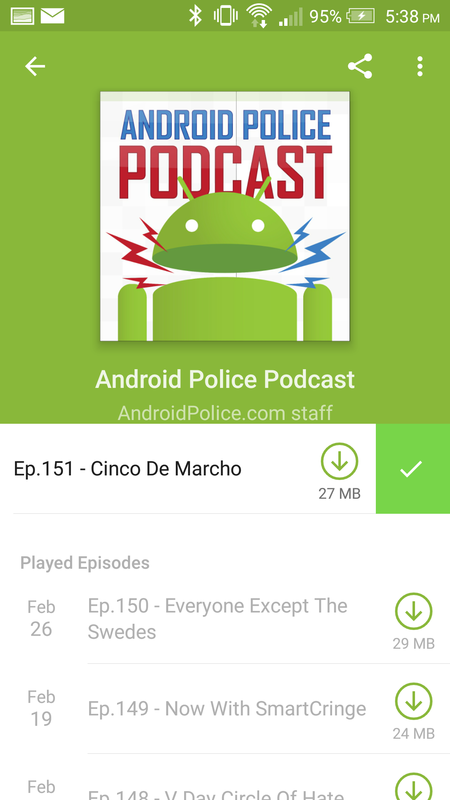 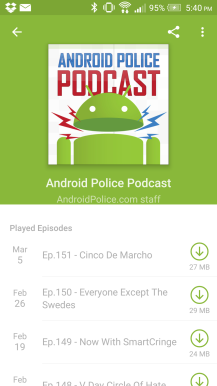 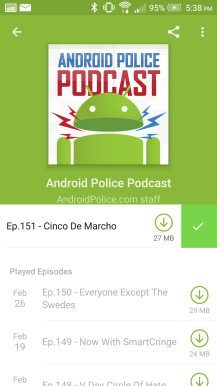 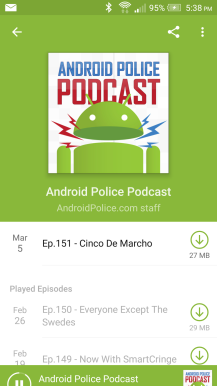 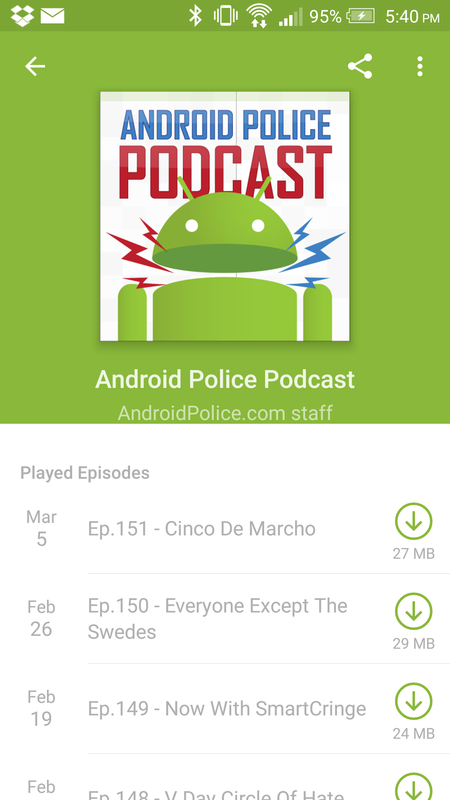 Already one of the most popular and well-regarded podcast clients on Android, Pocket Casts has paired their new design with a variety of new features and refinements that make the update more than merely cosmetic. 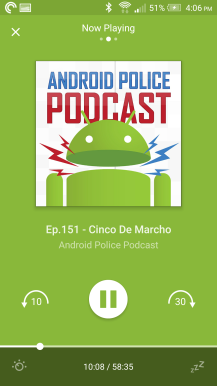 While you won't see it in our screenshots, the developers have really nailed some of the key animations that make Material Design distinctive and intuitive. 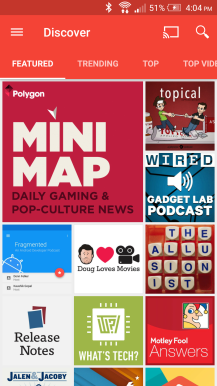 Still, it's the Pocket Casts that past users will know and love. 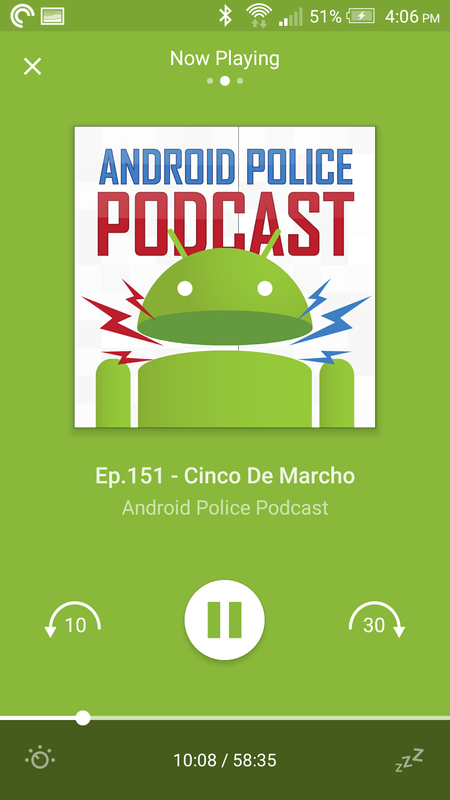 In terms of continuity from v4.x to v5.0, there should not be much, if any, learning curve. On the feature side, you can now eliminate silence in podcasts. 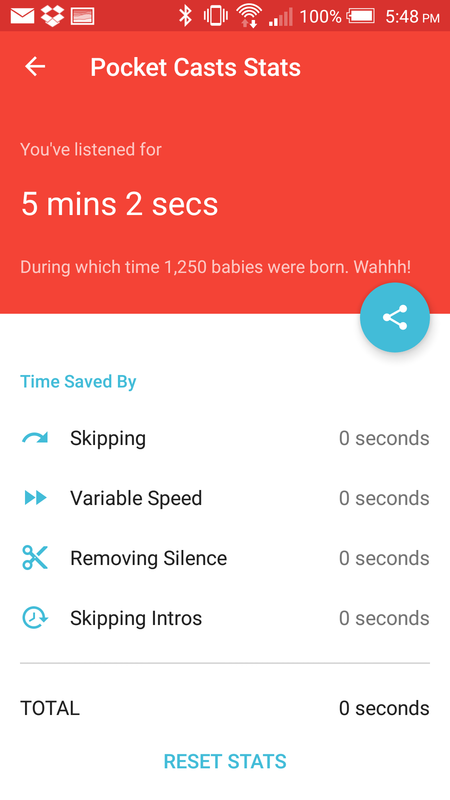 Yes, you've read that correctly. 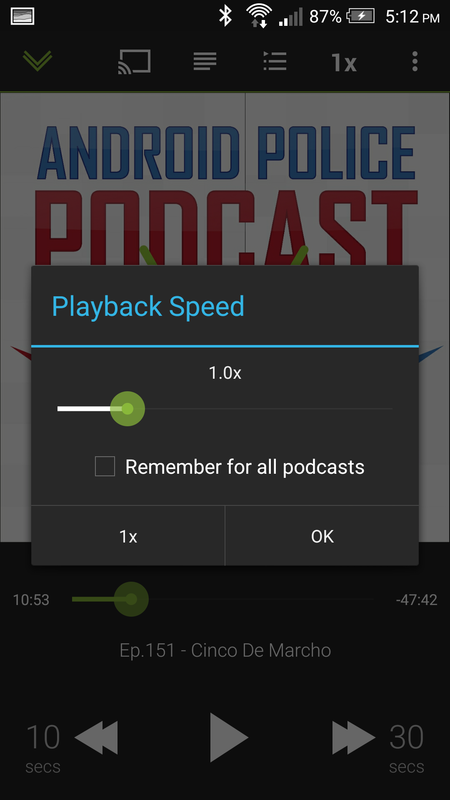 This will reduce the time of the podcast without requiring you to increase playback speed (though you can do that, too) or losing any legitimate content. 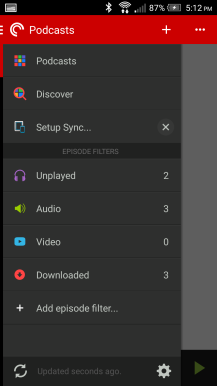 You can also increase the episode's volume if you find that it is quieter than other media at the same volume, which is a common issue with podcasts. 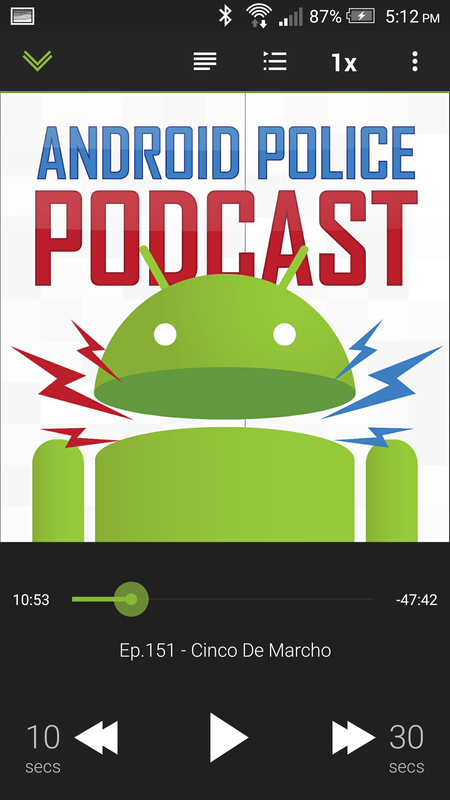 You can also mark podcasts as listened with a simple swipe to the left. 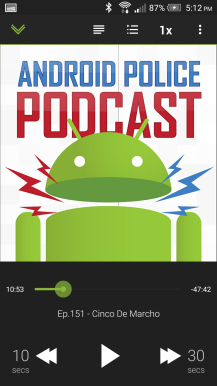 For example, suppose you watched our live podcast on the web. 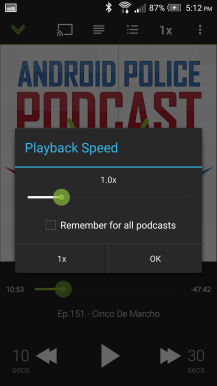 It would still be unlistened on Pocket Casts. This makes it much simpler to get it out of your way. 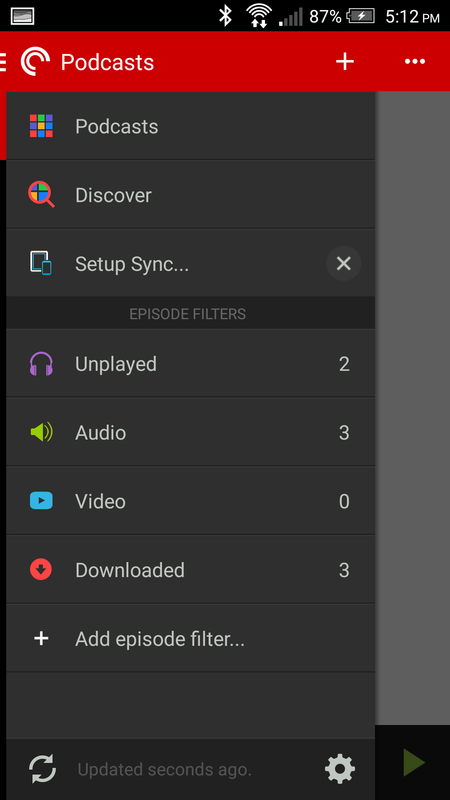 Another cool detail hidden in the "help" section of the settings menu is listening stats, which lets you see how much you've listened and the time saved using their various shortcuts. 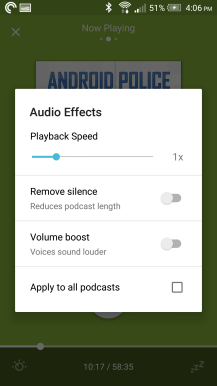 New Audio Effects: Volume Boost and Silence Removal. 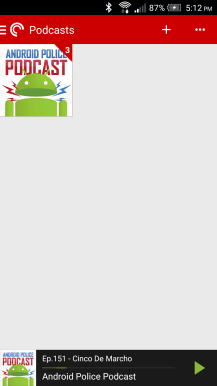 If you can't guess what the first one does then you're beyond help. Up Next list now in your mini player, swipe across to see what's coming up and quickly add more. They even had the common decency to spare us from bad jokes. 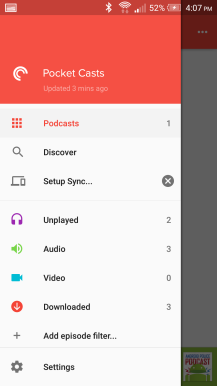 Today is a good day for Shifty Jelly, the company behind Pocket Casts. 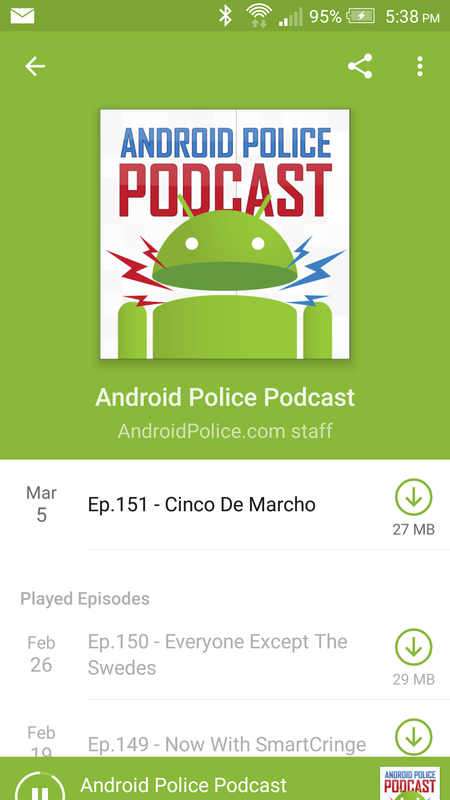 If you have the app already, there should be an update awaiting you in the Play Store.